The Demo Lab at InteropITX 2018 was all about IoT and the traffic - legitimate and malicious - it adds to an enterprise network. Success in the enterprise Internet Of Things (IoT) is about connecting devices, securing, monitoring, and managing the processes in an intelligent way. It is, to a great extent, far more about the process than about any given technology, and security must be built into both the processes and each piece of technology used. Significant opportunities are emerging for enterprises to create new and innovative processes around products and services, both on the enterprise premises and in the cloud. IoT has now developed to the point at which it has begun to disrupt many traditional manufacturing industries with new service propositions and has created new expectations and relationships with customers. Each of these processes, devices, and relationships must be secured and managed if it's to be successful. As with any architecture built on a network, interoperability between IoT systems is critical. 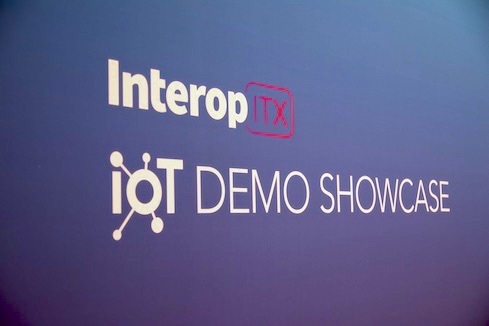 At InteropITX in Las Vegas, the Demo Showcase team provided practical demonstrations of some of the issues surrounding IoT. By design, the team utilized concepts discussed in the conference tracks of Security, Infrastructure, and Data Analytics. At each station and demonstration, members of Interop ITX’s volunteer engineering team explained the technology and process of putting it in the field, and led discussions with attendees individually and in small groups.